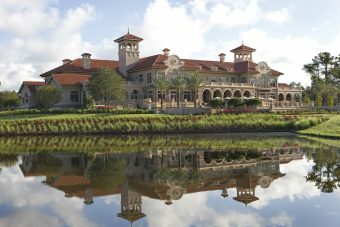 Destination club Quintess and the PGA Tour have created a new club giving special access to some of the best that the golfing world has to offer. The initial memberships are aimed at the corporate hospitality market, with individual memberships available later this year. 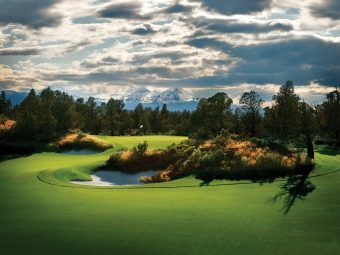 The Tour Club members and their guests have access to some of the top golf courses as well as special, "inside-the-ropes" experiences at PGA Tour events. Some of the more notable properties include TPC Sawgrass, Ponte Vedra, FL; TPC Jasna Polana, Princeton, NJ; Sage Valley Golf Club, Graniteville, GA; and Wynn Golf Club, Las Vegas, NV. At the same time members have access to luxurious homes which are located at some of the most sought-after golf destinations. The special experiences can include setting the pins with a Tour official on the morning of play, access to the TV control centers, attendance at the World Golf Hall of Fame induction ceremony, and even the ability to walk with the pros as an honorary observer. "Through our strategic alliance with the PGA Tour, we are able to offer a compelling alternative to companies seeking a sharper competitive edge. In April, we are looking forward to complementing the corporate membership by introducing a family membership that offers unparalleled access to the world of golf." said John Fechter, the Tour Club President. Golf Residences - Access to a growing portfolio of luxury residences (each valued at $2+ million) at some of the most sought after golf destinations in the world, including The Wynn, Las Vegas, NV; Pelican Hill, Newport Coast, CA; Sage Valley Golf Club, Graniteville, SC; Atlanta National, Atlanta, GA; and Pronghorn, Bend, OR. Additional destinations that will be added to the portfolio within the next 90 days include: TPC Sawgrass, Ponte Vedra Beach, FL; CordeValle, San Martin, CA; TPC Scottsdale, Scottsdale, AZ, and TPC Jasna Polana, Princeton, NJ. TPC Network National Membership -Corporate membership with the PGA Tour's TPC Network includes 35 TPC facilities and affiliated courses, 22 of which are private. Unique guest sending privileges across the TPC Network are also available exclusively to members of the Tour Club. The Network includes nationally ranked private clubs such as TPC Potomac at Avenel Farm in Washington D.C.; TPC Sugarloaf in Atlanta, GA; and resort courses such as TPC Sawgrass. Extraordinary Experiences - Unique experiences including golf outings held in conjunction with high-demand corporate entertainment events including the Kentucky Derby, the NCAA Final Four, and NASCAR races. the Tour Club has over a dozen experiences listed on its 2010 calendar. PGA Tour Tournaments and Events - VIP access for Members and their guests to a wide variety of events across the PGA Tour, the Champions Tour, and the Nationwide Tour, including "behind the scenes" access, guided tours of the clubhouses and media centers at Championship Management events from the Tour Club staff. Tour Academies Worldwide - Tour-level training with top instructors and proven state-of-the-art technology based on instructional techniques used successfully by top touring professionals. Private Golf Clubs Worldwide - Exclusive access to a portfolio of nationally ranked, private golf courses through partnerships with the Tour Club and a proprietary reciprocal "Play-Away Network", which enables Members to host each other at their home courses. The Tour Club Dedicated Golf Concierge - The Tour Club concierges are responsible for providing seamless travel and event planning services for Members and guests anywhere in the world. "The PGA Tour has always held a special position in the world of golf. Through our strategic alliance with the Tour Club, a wider range of companies and individuals will be able to benefit from our three professional tours and the TPC Network," said Timothy Hawes, PGA Tour Senior Vice President, Retail Licensing. "The integration of residences, academies, and comprehensive golf experiences, make corporate and family membership truly innovative solutions." Ben Addoms, one of the founders of both the Tour Club and sister club Quintess, said "In the end, the fact that the Tour Club offers flexibility, variety and value is what makes it stand out from the crowd." Ben confessed that he plays less golf now than he used to but plans to get a lot better with the new club. * Residential Reservations are the nights per year, that club members can stay at club homes. All three membership levels also include TPC National Golf Membership (with access to over 30 courses, including 21 private courses) and umlimited professional-level instruction at any Tour Academy for the Primary Member. Members of the Tour Club can exchange their nights for stays at Quintess homes on a 3 Tour Club nights for 2 Quintess nights basis. Similarly Quintess members can also exchange their nights for stays at the Tour Club homes. Bend, Oregon. Tour Club home location. Quintess members can also upgrade to membership with Tour Club golf priveleges by paying an initial fee and increased annual dues of about $10,000. The PGA Tour and Quintess have spent significant time integrating all their systems to ensure a smooth member experience. They were originally planning to launch last Fall, but the continued economic weakness made them hold off a little and no doubt the whole Tiger Woods affair caused a few discussions between the two partners. These initail memberships are clearly aimed at corporate hospitality and marketing budgets, and if your company has some golfing aficionados the memberships do have some very appealing aspects.